Due to technical problems you cannot use the route planner. We try to fix it as soon as possible. 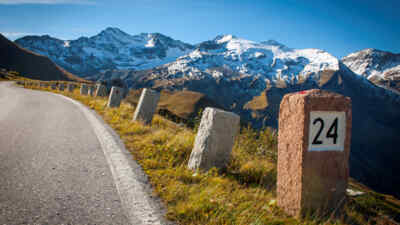 The popular alpine road leads from Fusch an der Glocknerstrasse to Heiligenblut – and vice versa. Buy your ticket at one of the two pay desks for an unforgettable experience at High Tauern National Park. The route planner comfortably shows you the fastest path to the starting point of your very own mountain adventure! Tip: buy your ticket online before travelling and receive a 10% discount on souvenirs at all Glocknershops and other selected shops of the Grossglockner High Alpine Road!